Looking for ways to donate to help the birds this holiday season? Look no further, because it’s time again for our 3rd annual Holiday Giving Tree! The Holiday Giving Tree is a seasonal opportunity for bird lovers to donate keeper- and bird-approved enrichment items to our avian residents. So, what is enrichment, anyway? Enrichment is anything that enhances the welfare of an individual by providing physical or mental stimulation. 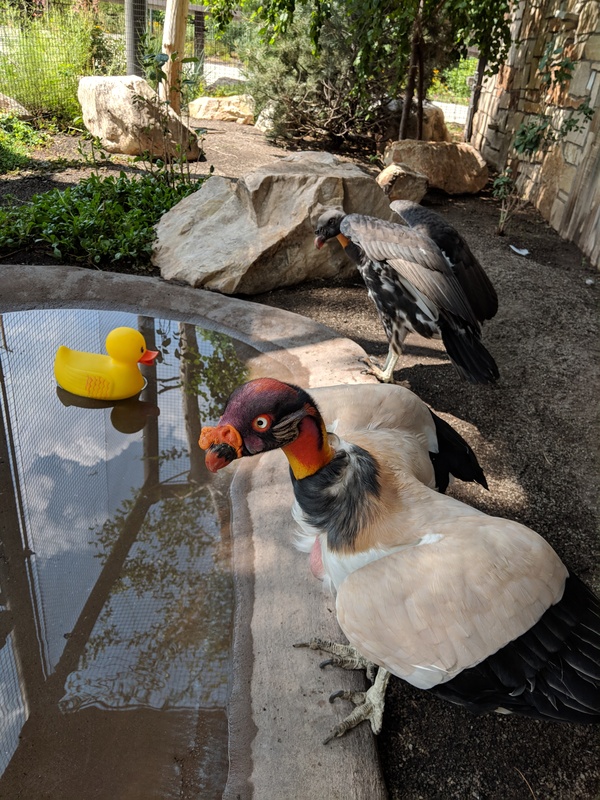 Here at Tracy Aviary, our goal is to use enrichment to provide all birds in our care with the opportunity to make choices in their environment and encourage a wide range of species-appropriate natural behaviors. Our keepers identify natural behaviors unique to each species-- behaviors such as foraging, stalking, manipulating, calling or displaying, problem-solving, etc.-- and create items or experiences that encourage the birds to engage in these natural behaviors. For every $15 worth of items purchased, your name will be entered into a raffle to win a special behind-the-scenes experience at Tracy Aviary! The raffle will have 5 winners and these winners will be announced in January, at the completion of the Holiday Giving Tree. In ordered to be entered into this raffle, you will need to leave your name and contact info in the "Gift Message" box on the checkout screen during purchase. This is very important! Unless you leave us your info, we will have no way to track your raffle entries or contact you about the raffle! Check out our Amazon Smile wish list to see what items our zookeepers think would help enrich the birds at the Aviary! You can also help us make enrichment for our birds at our Andy Claus' Toymaking Workshop on December 15th!